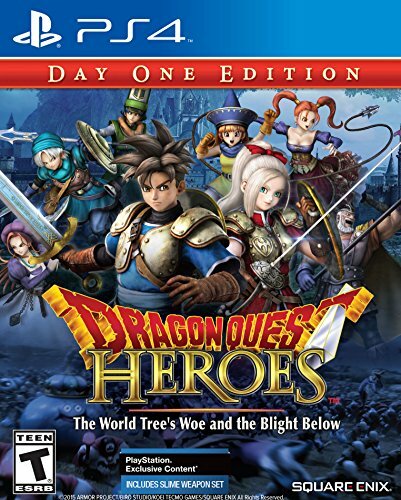 Dragon Quest Heroes and Hyrule Warriors - Dynasty Warriors comes to your franchise — GamingWithSwag.com - Dads By Day, Gamers By Night. That slime won't stop smiling at me! The Dynasty Warriors franchise has been rolling on for many years with new versions coming out regularly with some tweaks and upgrades but are basically the same game. However, having squeezed all the drama from the Romance of the Three Kingdoms era they have begun to play in some other licensed worlds with a lot of success. The gameplay found in Dynasty Warriors is extremely addicting and satisfying, and playing in another world can bring in new fans. 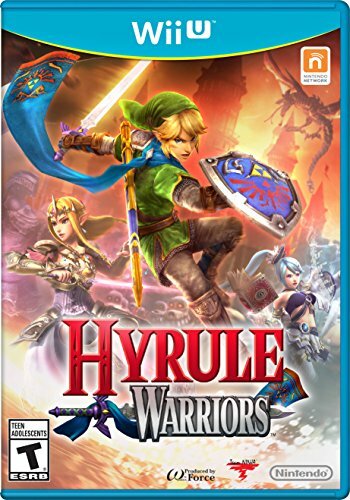 With the recent releases of Hyrule Warriors (where you get to hack and slash through Zelda/Link's fabled Hyrule) and Dragon Quest Heroes (where you get to unleash your favorite characters from turn based attacks) we get two new entries that make we wonder what franchise I would love to see them hit next. To make the transition to a Dynasty Warriors Style game, you need two things. First, your characters have to primarily battle with melee weapons. Dynasty Warriors has siege weapons and arrows but the majority of weapons need to be hand to hand. Second, the world needs to be full of bad guys who you can take down in droves. With these rules in mind I pitch four games I would like to see. Castlevania - We have gotten some lesser versions of Castlevania that had a 3rd person perspective but I think the series could translate pretty well with this makeover. That whip would be amazing and with a range of Belmonts to play with this would be a fun game where you dominate the great monsters of lore. The Walking Dead - What group is better to battle against in hordes than zombies? Can you imagine running through this game with Michonne's katana against the undead masses? Guns could still play a role, and unlike many of the games in this format you could incorporate improvised weapons like boards with a nail in it. Ninja Turtles - You already have 4 classic melee weapons represented with the turtles themselves, and add in other characters like Casey Jones and you have a great squad to take against the legion of Foot soldiers. There would be a ton of great villains to battle and this game could be a little more playful. Lord of the Rings - Shadow of Mordor is a pretty excellent 3rd person adventure game, but allowing the player to take Aragorn, Gimli, and Legolas through some epic battles against Orcs, Urak-hai, Spiders and the like would be an amazing experience. Do you have a game you would like to see get the Dynasty Warriors treatment? Oct 13 Joe Montana Football and the Dream of an NFL game that isn't Madden.